Bulk chain by the pail. Not for overhead lifting. For use with heavy loads. Zinc finish. 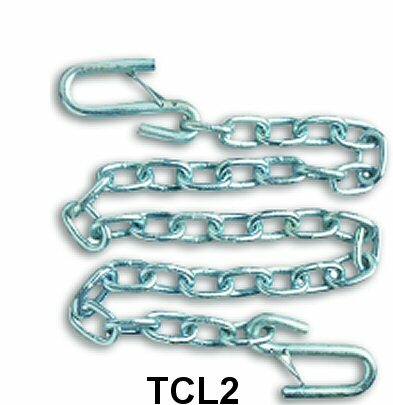 This grade of chain is designed for trailer safety chain applications only. Law requires the use of two chains. Each chain must exceed maximum trailer weight. Not for overhead lifting. 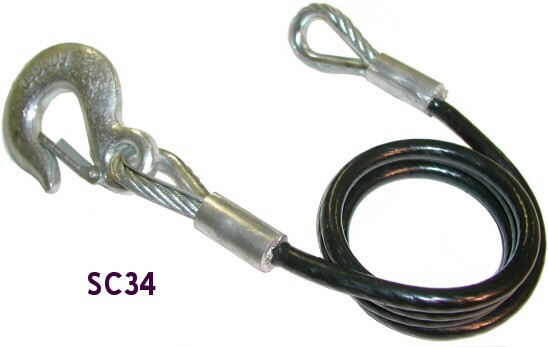 Other chain lengths available in quantities of 50 or more. 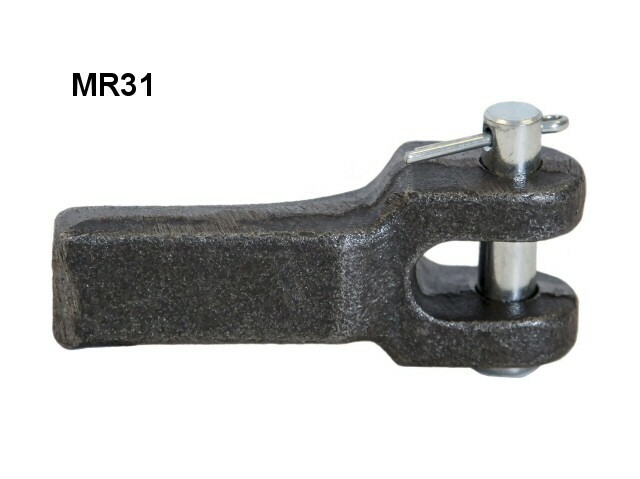 Designed to keep trailer connected to vehicle if hitch fails or comes uncoupled. 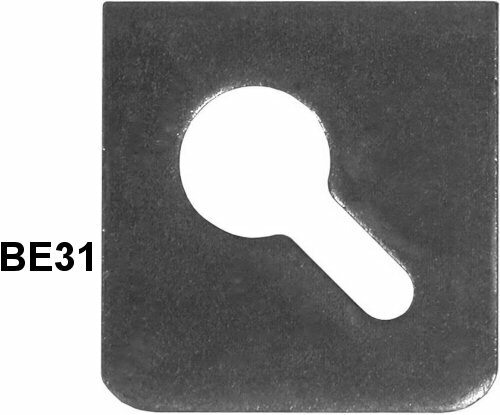 Brite zinc finish. 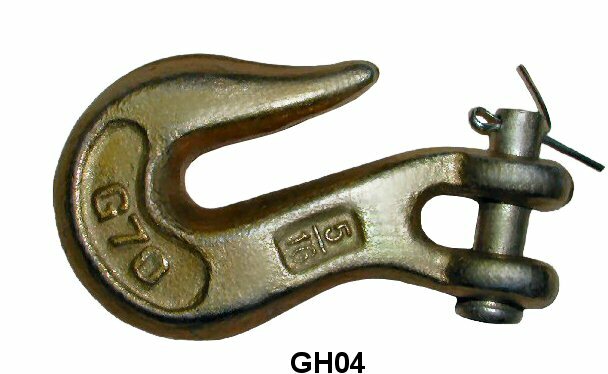 48" chain - overall length is 51". 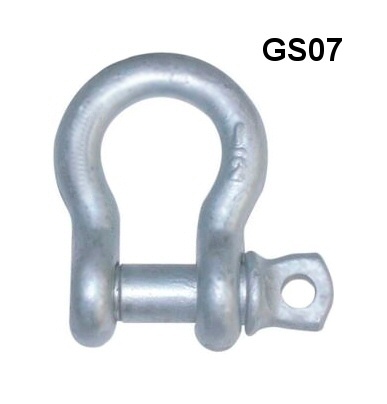 This grade of chain is designed for trailer safety chain applications only. Not for overhead lifting. 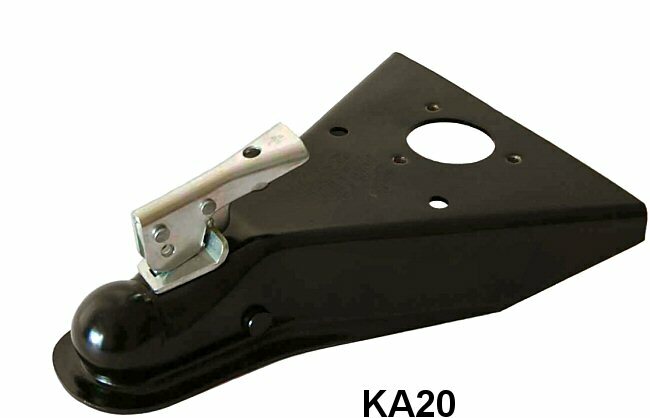 These hooks have a safety latch which meets California towing requirements. 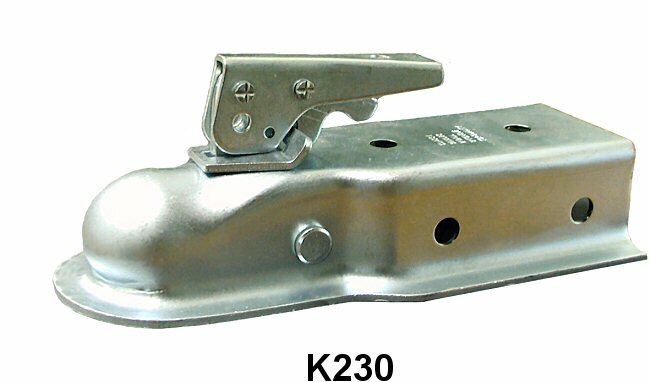 Designed to keep trailer connected to vehicle if hitch fails or comes uncoupled. Brite zinc finish. 48" chain - overall length is 51". This grade of chain is designed for trailer safety chain applications only. Not for overhead lifting. 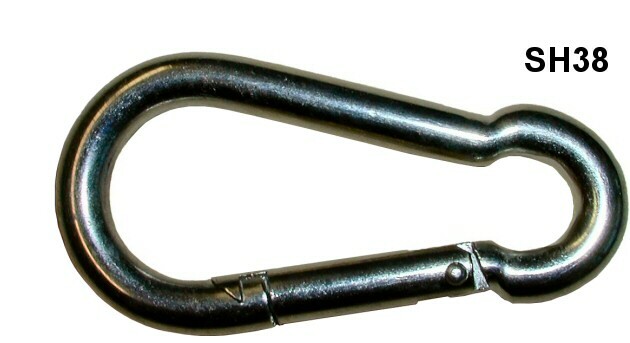 NOTE: Some states require safety latch “S” hooks. 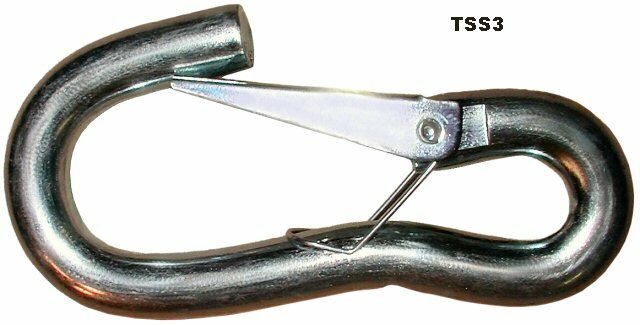 Quick-locking handle/underjaw design and trigger action mechanism clamps or releases the ball for a fast and easy hook-up. 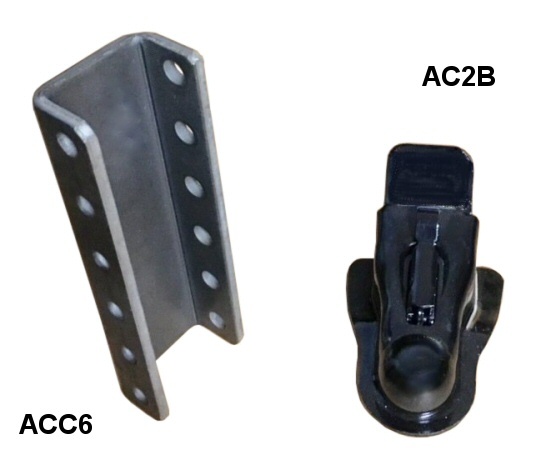 Bolt into a channel for multiple raise or drop applications. 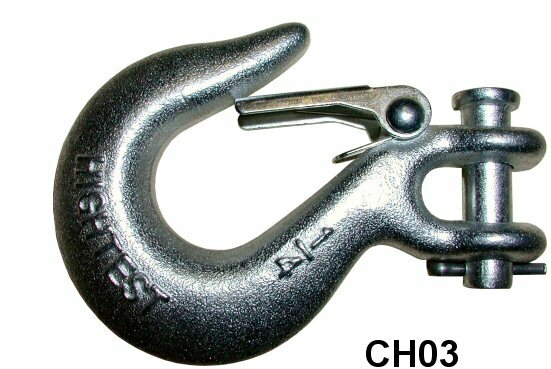 Quick-locking handle/underjaw design and trigger action mechanism clamps or releases the ball for a fast and easy hook-up. Copyright © 1999-2019 C.R. Brophy Machine Works, Inc.